All are welcome to celebrate the rich history and traditions of the Jewish holidays at Congregation B’nai Jacob. High Holiday services are open to all, and all are invited. Attendees will not need tickets and will not be charged a fee. And, you don’t have to be a member to worship with us. Donations are appreciated to help support our ongoing commitment to service the Jewish community of Hudson County and beyond. 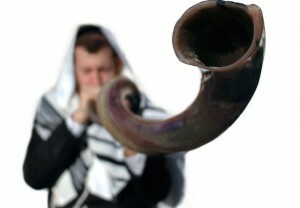 The medieval scholar Rambam teaches that when we sound the shofar on Rosh Hashanah, we are metaphorically calling out: “You that sleep, you who are dreaming, wake up! Take a look at your behavior, return to your truest self, and remember your Creator” (Hilchot Teshuva, 3:4). The High Holidays come around each year to jar us just enough to push us away from destructive behaviors and pull us toward our best selves. It’s some of the most difficult internal work we can do. This year the board of directors decided to have a more traditional High Holidays service. Rosh Hashana: September 10 and September 11. War Monument at the foot of Washington Street: 4PM. Kol Nidrei: September 18: 6:30 PM. Study Book of Jonah: 6PM. In 5779, we have the opportunity to begin again—to start a resolution for ourselves, our families, and our communities—and awaken to our fullest potential. We would like to wish to all of you a year of success, health, love, compassion and happiness!